Just proved that last night they aren’t the same. I started off recently again from Ubuntu 7.10, turned it into Kubuntu. KDE 4 looks very attractive but I ended up with duplicated applications at the user interface. I learnt also how to improve font rendering etc. I then decided to install just the Kubuntu to get rid of duplicated applications. Downloaded the latest image and installation went OK. To my surprise I got all sort of troubles when activating the restricted NVidia driver and even software updates by KDE’s Adept Manager. I ended up updating the installation at command line. Ubuntu and Kubuntu aren’t the same perhaps it is KDE vs Gnome. If you like history this is a good read. 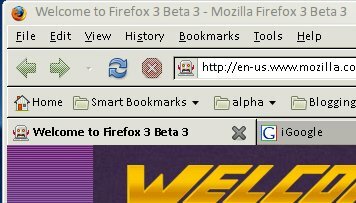 [Edited] The firefox in ubuntu has no trouble finding and installing Flash and Java SE plugins while I can’t do that without downloading and installing at command line for Java SE in Kubuntu. I’ll try Sabayon tonight just to have a feel of Beryl. Once I got Firefox 3 running I could then get into about:config and locate layout.css.dpi and reset it to the default ‘-1’. 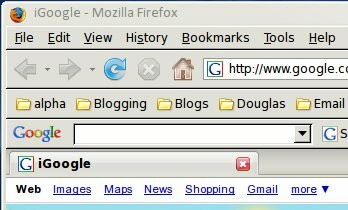 Changing this to ‘0’ was supposed to force Firefox to use system font setting for menu and toolbar. The trick didn’t work for me. my selections were ‘Native’, ‘Automatic’, ‘No bitmapped fonts’ during the interactive configuration. After that reboot the system or press Ctrl+Alt+Back Space.